I can’t believe I’m sitting here about to post to my blog, after more than three months since my last posting, during NaNoWriMo. That’s National Novel Writing Month. I have pledged to write around 1,667 words per day (about four pages) throughout November. I’m not writing a novel, or story, but working on my Kade writing. Will it be a Kade memoir? Will it be a Jenny memoir? Will it be something else? That remains to be seen. I’m sitting down and doing the writing (the most important part I’m told) and hoping it will reveal itself. I’m afraid to delve into writing about the topic of Halloween, as I am about a lot of topics. I think I’m afraid I won’t be able to remember all the Halloweens past. What he dressed up as, at what age. That I won’t be able to summon all the memories. A good mom should be able to bring them to mind, right? I’m also afraid of the pain. Which is why I haven’t written yet about the day Kade died. Writing about the day he was born conjured tears. The hopes, the dreams, the promises of protection, the absolute falling in love. The ignorance that he would only live to be a teenager. That each day was a ticking clock, and I didn’t know. 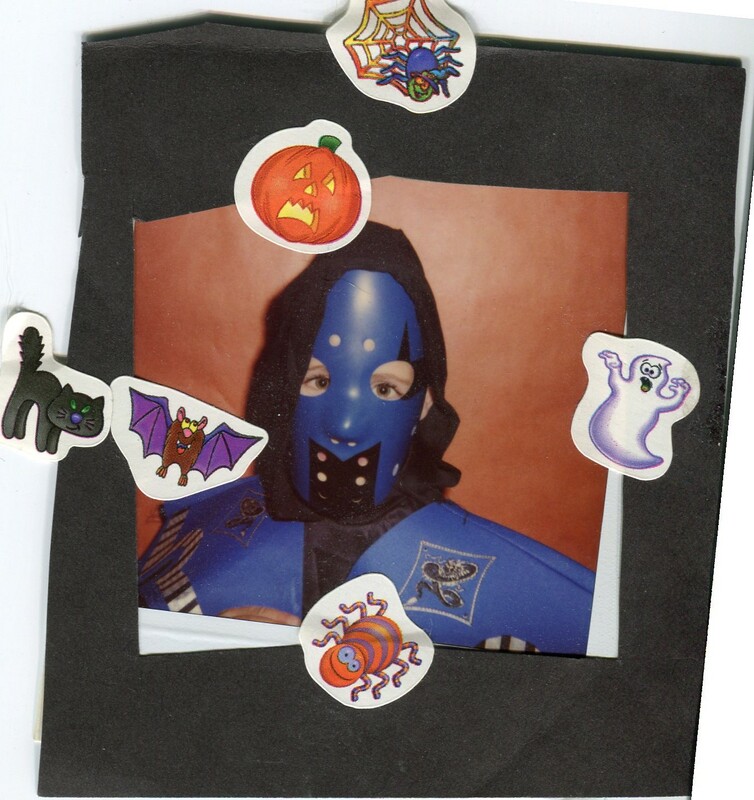 Now that I identified some of my fears and vulnerabilities around writing about Halloween, I’ll dive right in with probably the biggest of my True Halloween Confessions. I grounded Kade from trick-or-treating WITH HIS BEST FRIEND, BEAU. I could just sink into a hole right now thinking of that most harsh repercussion. Kade and Beau were…active…at their after-school daycare called Adventure Club. Oh boy, please take this as a lesson not to threaten a consequence that you might have a real problem following through with. Halloween fell on a school night. Kade had had some trouble at Adventure Club that week. I can barely get my fingers to type the letters to formulate the words: I told him that if he misbehaved that afternoon, he would not be able to go trick-or-treating with Beau that night (I’m sorry Kade, I’m sorry Kade, I’m sorry Kade). I remember approaching the director and hoping with all my might that she had a good report for me. Nope. There were some poor choices made, I don’t remember what they were, but I do remember that they were topped off with the boys belligerently telling staff, “You can’t tell us what to do. 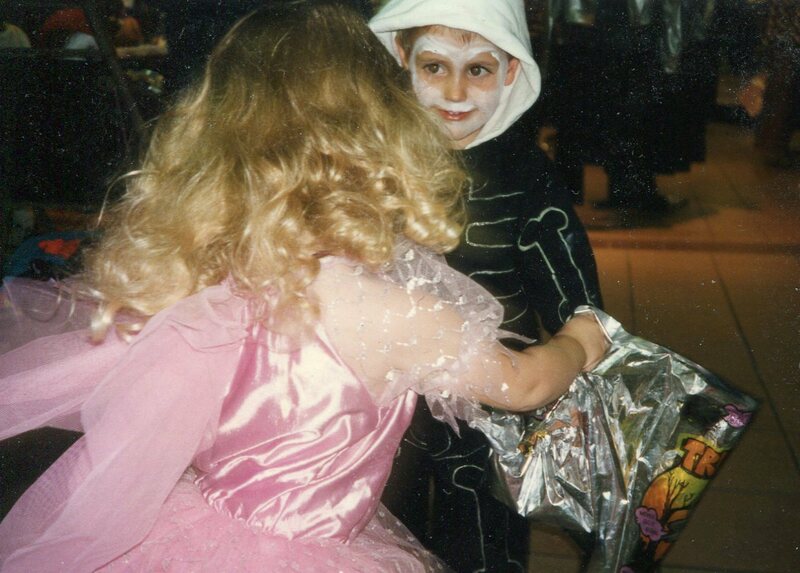 We’re trick-or-treating together no matter what we do here. You can’t do anything about it,” or something along those lines. I seriously felt like I had no choice. Though it broke my heart (and his—the tears! ), I felt that to be a good mom I had to be consistent. I had to follow through. It was awful. I remember the phone call to Beau’s mom. I remember feeling horrible to disappoint not only Kade but his friend. 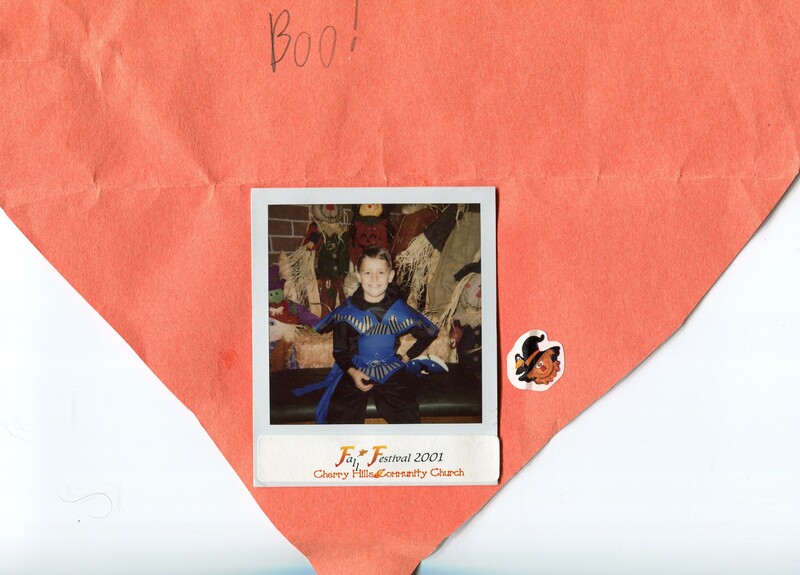 He and I trick-or-treated at Cherry Hills Church. We tried to make the best of it, but when I look at pictures of Blue Ninja Kade sitting alone on the haystack, I feel nauseous. Those chubby cheeks. 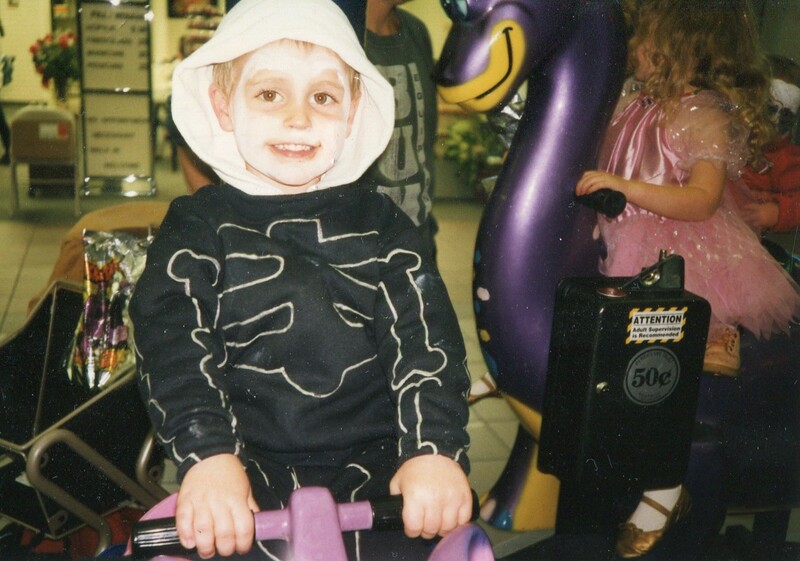 Those big light-brown eyes, behind which, the idea of holidays, trick-or-treating, candy, and best friends meant more than we hardened adults cared to understand. The straight smile of Kade’s senior picture hanging across the kitchen table from me doesn’t look like he’s holding it against me. I only wish he was here, paying me a visit this afternoon, maybe to ransack our post-Halloween candy abundance, so I could say I’m sorry in person. So he could give me a hard time and tell me how emotionally scarred he and Beau remain to this day. And then play-punch me with a silly self-conscious sound effect to show me I was ridiculous for feeling sad about it after all these years. Kade, it’s Halloween-time. Asher is watching a Casper movie for goodness sake. Can’t you at least come and haunt me or something? 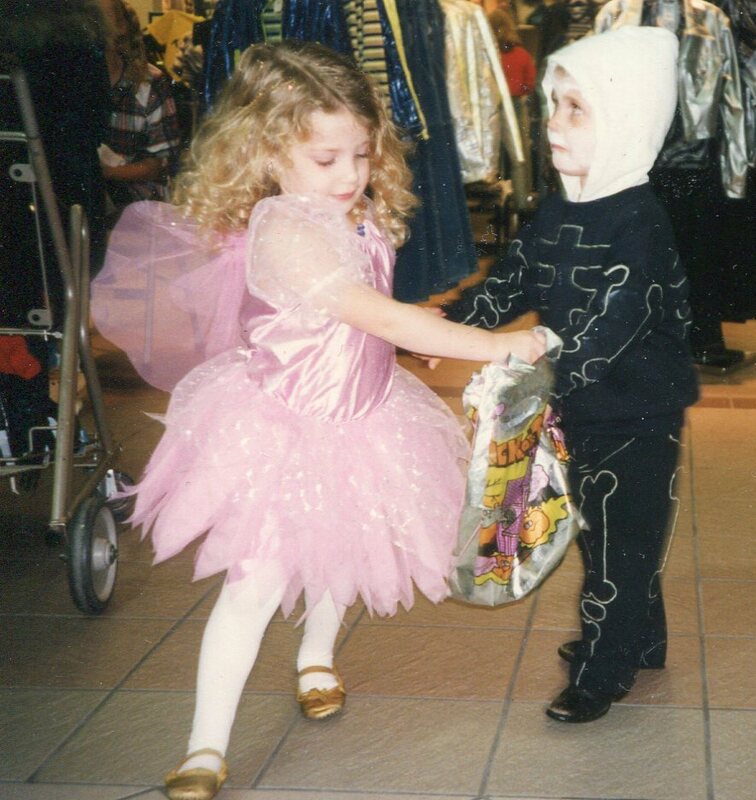 Halloween in Ft. Collins with his friend, Amber. I think he was four years old.